You don’t often hear people called heretics anymore. In 1905, the British journalist G. K. Chesterton wrote a book called Heretics, in which he critiqued the teachings of several of his contemporaries, including H. G. Wells and George Bernard Shaw. Even then, though, writing a book calling out heresies was kind of cheeky. In the age of the modern nation-state, when dissenters from orthodoxy no longer get punished (and by the way, I think that’s a good thing), it hardly seems worth one’s while to call someone out as a heretic. 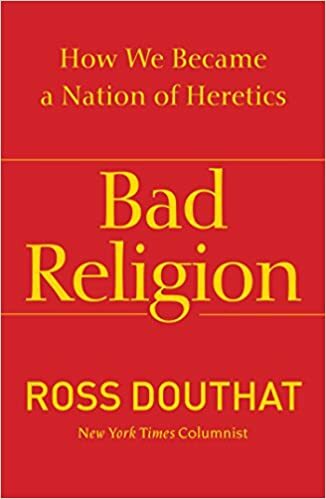 Nevertheless, New York Times columnist Ross Douthat does just that in his book Bad Religion: How We Became a Nation of Heretics (2012). Douthat himself is a Catholic who has sympathies with conservative Protestantism. In this book, he takes as a starting point that the famous secularization thesis popular in the nineteenth and early twentieth century is wrong; societies do not inevitably become less religious as they become more modern. Rather, Douthat writes that “every human culture is religious—defined by what its inhabitants believe about some ultimate reality, and what they think that reality demands of them” (3). All societies have some beliefs about what the world is like and what people ought to do. Whether that belief involves the supernatural or not, or has weekly services or not, it functions as a religion. If religion is inescapable because beliefs about ultimate reality are inescapable, then religion itself is not the problem and trying to get rid of all religion is not the solution. If you try your best to get rid of some forms of religion, other forms will pop up in their place. On the other hand, if you’re a religious person, then secularization is not the main problem. “The secular mistake has been to assume that every theology tends inevitably toward the same follies and fanaticisms, and to imagine that a truly postreligious culture is even possible, let alone desirable. The religious mistake has been to fret over the threat posed by explicitly anti-Christian forces, while ignoring or minimizing the influence that the apostles of pseudo-Christianity exercise over the American soul” (4). The problem, according to Douthat, is bad religion: “America’s problem isn’t too much religion, or too little of it. It’s bad religion: the slow-motion collapse of traditional Christianity and the rise of a variety of destructive pseudo-Christianities in its place” (4). The book comes in two parts. In the first, “Christianity in Crisis,” Douthat traces the devolution of Christianity over the course of the latter half of the twentieth century. While heresies have always been present, he argues, what makes our current climate different is the weakness of the orthodox Christian response to them. He begins the second, “The Age of Heresy,” by pointing out heresy’s inclination toward resolving ambiguity. Whereas Christian orthodoxy has always embraced paradox and sought to hold seemingly contradictory things in tension (Is Jesus God or human? Yes. ), heresies have always sought a ruthless narrowing (Does Jesus seem in some ways unlike the God of the Old Testament? Get rid of the Old Testament). “The goal of the great heresies … has often been to extract from the tensions of the gospel narratives a more consistent, streamlined, and noncontradictory Jesus” (153). This, Douthat argues, has led to the “lost gospel” trend in scholarship about Christian origins. In it, scholars like to present a one-dimensional vision of Jesus—as only human, or as only a wise teacher, or as only a Gnostic sage. Usually, these one-dimensional portraits of Jesus look an awful lot like the scholar (or popularizer, in the case of the novelist Dan Brown) who is arguing that this is what Jesus was really like. Upon closer examination, these claims about the early history of Christianity prove to be inconclusive or outright false, but their popularity tells a lot about what many Americans want to believe. The next three chapters Douthat spends looking at other heresies that have emerged from the tendency to make Jesus in our own image and to forcibly resolve paradoxes that have existed in Christianity from the beginning: the prosperity gospel of preachers like Joel Osteen, the therapeutic “god within” theology of Oprah, Deepak Chopra, and others, and God-and-country-but-mostly-country Christian nationalism. He then closes the book with a vision of what a renewed Christianity might look like. First, it will be political without being partisan, avoiding the temptation to fit Christianity into the mold of ideologies on the right or the left but at the same time not becoming quietist or indifferent. Second, it will be ecumenical but also confessional, reaching out to like-minded others without watering down one’s own theological commitments. To do this we need strong institutions. Christians who are part of churches with clearly defined theological commitments will be less susceptible to watering down their faith by uniting it with (for example) a political platform. Third, it will be moralistic but also holistic—not downplaying the ethical demands of Christianity while at the same time not becoming unduly focused on hot-button moral issues (sexual immorality) to the neglect of other, just as important, moral issues (gluttony, greed, pride). Fourth, it will be oriented toward sanctity and beauty. It will cultivate both saints and artists. Here he quotes Joseph Ratzinger shortly before he became Pope Benedict XVI: “The only really effective apologia for Christianity comes down to two arguments, namely, the saints the Church has produced and the art which has grown in her womb” (291). This is a great book, and I recommend it to any Christian believer who wonders how we got to a place where so many Americans want to believe that there were suppressed gospels, that God wants to make them wealthy, that the only God that matters is inside each of us, or that God may be subservient to a political ideology, whether on the right or the left. I found the first part of the book to be a tough slog, focused as it was on recounting a history that I was mostly familiar with. And while I was not sure about parts of Douthat’s interpretation of that history, I agree with his central insights—that secularism is more of a bogeyman than a real threat to Christianity, that heresy tends to resolve the paradoxes of orthodoxy in a self-serving way, and that heresy is rampant today in part because of the weakness of orthodox Christianity’s response. When you hear the word “angels,” what do you think of? Some spiritual being that accompanies people as their guardian? The chubby cherubs from that painting by Raphael? Or do you dismiss them as credulous superstition, the product of overactive imaginations, and leave it at that? New Testament scholar Scot McKnight has set out to clear up what exactly angels are in a book published last month called The Hum of Angels. The “hum” of the title comes from a story that he tells at the outset about a visit to a pet store. He was telling the attendant that there were no hummingbirds where he lived, but the attendant told him there most definitely were. You just had to have the eyes to see them. McKnight went home determined to attune his eyes to see hummingbirds, and now he sees them everywhere. to lead us into the redemption of Christlikeness. The Bible nowhere teaches that people become angels when they die. According to McKnight, “the model for what we will be like after death is not angels but the resurrection body of Jesus—who, again, did not become an angel” (20). Just in case it needs to be said, the moment when a friend says on Facebook about a departed loved one that “heaven gained an angel” is NOT THE TIME to instruct them on this point. But in light of how widespread this misunderstanding is, I do think churches ought to make a point of teaching on it. Not all angelic visitations are from good angels. Angels always point to God, and “angels that don’t summon us to see God are not doing God’s work” (27). Angels are messengers of God’s love, and God’s love is more than the presence of positive feelings about someone. Love, McKnight says, “has a goal.” It “is not tolerance or deciding to put up with one another or doing our best to get along. Love, if it is Christian love, leads to mutual growth into Christlikeness” (42). Angels who do not point us toward God in Christ are what the Bible calls demons, or evil spirits. So modern-day “angel experiences that do not draw us to God’s Son must be held either loosely or not at all” (125). The Angel of the Lord in the Old Testament is not a pre-incarnate Jesus. Now, not all biblical scholars agree about this, so this shouldn’t be asserted dogmatically. But after looking at several passages, McKnight comes down on the side of believing that while “God becomes present to us in special ways in the Angel of the Lord” (85), that is not the same as saying it is the pre-incarnate Jesus. The Bible isn’t clear about whether people have guardian angels assigned to them. It is clear that God does send angels to protect and guard and guide us, but it stops short of saying that each person has an assigned guardian angel. Basil the Great and John Chrysostom believed in guardian angels, though, if their opinion matters to you. They probably don’t look like the chainsmoking angel on the cover of the classic Van Halen album 1984. Okay, McKnight actually doesn’t address this. But I think it’s a pretty safe assumption. Should you read this book? There are many books about angels out there, and I honestly haven’t read many of them so I don’t know how it compares to others. But if you are curious about angels, and what the Bible says about angels is an important consideration for you (and if you are a Christian, it should), then you may find this book helpful. Note: Thanks to WaterBrook, the publisher, for a review copy of this book. I was not asked to give a positive review. Every now and then, I hear it attributed to some great preacher of the past that the gospel (or sometimes, the Bible) is like a lion (or sometimes, a tiger). The idea is that it doesn’t need to be defended; it just needs to be let out of the cage. There seems to me to have been twice as much done in some ages in defending the Bible as in expounding it, but if the whole of our strength shall henceforth go to the exposition and spreading of it, we may leave it pretty much to defend itself. I do not know whether you see that lion—it is very distinctly before my eyes; a number of persons advance to attack him, while a host of us would defend the grand old monarch, the British Lion, with all our strength. Many suggestions are made and much advice is offered. This weapon is recommended, and the other. Pardon me if I offer a quiet suggestion. Open the door and let the lion out; he will take care of himself. Why, they are gone! He no sooner goes forth in his strength than his assailants flee. The way to meet infidelity is to spread the Bible. The answer to every objection against the Bible is the Bible. 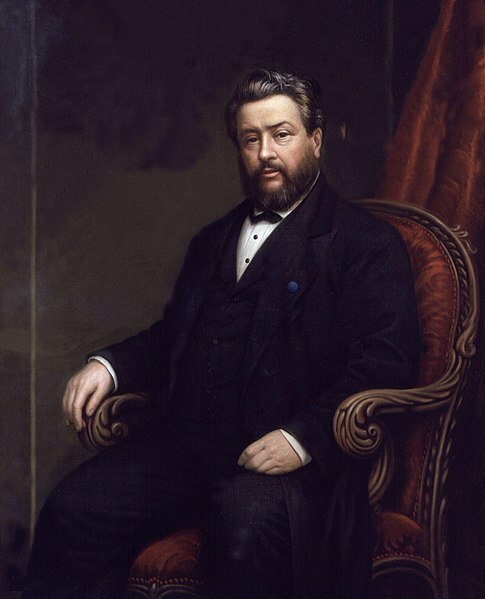 UPDATE: Want to see another example of Spurgeon telling an illustration multiple times? Read this post! 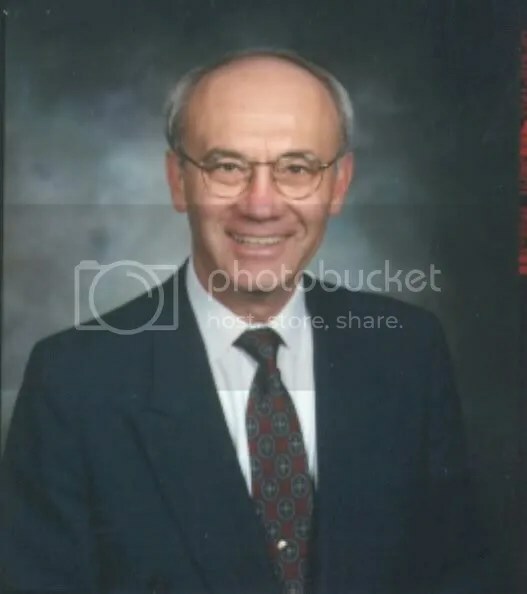 Recently I’ve been listening to Victor Shepherd‘s lectures from a class called “Theology of the Human Person.” I’ve never taken a class from Shepherd, who teaches at Tyndale Seminary in Toronto, but Regent College sells some of his lectures through Regent Audio. I’ve listened to a series of his lectures on historical theology, and another lecture on Calvin and predestination, and have enjoyed them a great deal. A knowledge of redemption alone generates a knowledge of sin. An apprehension of the cure acquaints you with the nature and scope of the disease. The cure defines the ailment. Reconciliation highlights the nature and the fact of alienation…. Can sinners, of themselves, know themselves to be sinners? No. Only the grace of redemption acquaints us with the fact that we are sinners. Sinners of themselves can know themselves to be guilty, self-alienated, fed up, frustrated, lethal—but sin by definition is a defective relationship with God. Who is the God with whom we are defectively related? And how do we know that we are defectively related to him? All of this has to be revealed to us. This is not naturally knowable…. If the cure discloses the nature of the disease, we ought never to preach on sin without preaching of sin forgiven. We ought never to preach on estrangement without preaching on estrangement overcome in Christ. Because only the overcoming of estrangement acquaints us with the nature of the estrangement. I think that in church, we have preached many times on sin, and very lamely, and too lately, gotten around to sin forgiven. We left people in a worse condition than ever, and we made them bigger and better moralists. If you preach on sin without preaching on sin forgiven you’re going to fall into the moralistic trap.If you think that the moral person is any closer to the kingdom than the immoral person, then you think that the Pharisee is going to go into the kingdom ahead of the [tax collector]. Jesus says the harlots and the tax collectors go into the kingdom first because the one thing they have is no illusion about the fact that they’re moral. Moral people always manage to convince themselves that they’re not sinners. 1. Same Kind of Different as Me by Ron Hall and Denver Moore. Reviewed earlier here. 2. Hannah’s Child: A Theologian’s Memoir by Stanley Hauerwas. Theologian Stanley Hauerwas’s memoir is called Hannah’s Child, but it could easily have been called Things that Didn’t Occur to Me At the Time. Out of the long list of things in his life that he acknowledges he was clueless about, a few are that a person would go to divinity school in order to prepare for ministry, that Protestants would not be allowed to partake in Catholic Mass, or that he would have to get used to the differences between Durham and South Bend when he moved from Notre Dame to Duke. Nevertheless, this was a fascinating book. Hauerwas tells his readers exactly what they expect in a theologian’s memoir: how he came to study theology at Yale in the first place, how he was influenced by his professors, how he came to be one of the few Protestants on the theological faculty at Notre Dame, how he was influenced by John Howard Yoder and Alasdair MacIntyre (among others), and how he came to teach at Duke. He also tells us more: specifically, he talks frankly about his marriage to a woman with bipolar disorder. In some ways, this memoir is a paean to friendship, and he tells us all about the many people he has encountered and become friends with along the way. The only interactions with him that I have ever had were a letter that he was kind enough to respond to in 2001, and a brief meeting when he came to Vancouver to give the Grenz Lectures in 2009 (he autographed one of his books that I bought for my dad). But at the end of this book, after having him open up so much of his life, I couldn’t help but feel a little bit as if Stanley had become my friend. 3. William F. Buckley (Christian Encounters Series) by Jeremy Lott. Reviewed earlier here. 4. Getting It Right: A Novel by William F. Buckley. I read this book because Lott mentioned it in his biography of Buckley. Somehow I had missed that Buckley was a novelist in addition to being conservative pundit, and so I decided to read one of his efforts. I chose this one in particular because it contained Buckley’s critique of Ayn Rand, whose Objectivist philosophy seems to be undergoing something of a renaissance at the moment. Besides being a critique of Ayn Rand’s philosophy, it is a fictionalized history of conservatism between 1956 and 1965, beginning with the repressed Hungarian Revolution and ending just after Barry Goldwater’s failed bid for president. In addition to critiquing Ayn Rand, it also contains a critique of the paranoid anti-Communist John Birch Society. Buckley himself makes a cameo, and it is clear by the end of the book that it is his brand of conservatism (rather than that of Rand or the JBS) that ought to win, and in fact did win. 5. The Richest Man in Babylon by George S. Clason. While Buckley’s book was a fictionalized history of mid-20th-century conservatism, this book was fictionalized financial advice. Clason wrote this book in the 1920s, but in a stroke of genius he set it in Babylon and told it as a set of ancient parables. His advice is nothing new, but striking because it is so seldom followed: save 10% of all you earn. Be conservative rather than greedy in your investments. Seek investment advice, especially in areas you are not familiar with. Not particularly exciting stuff, but this book has had enduring popularity in part because of its brilliant presentation. It’s a story, which is always more interesting than straight advice, and it is presented as wisdom from the ancients. The edition I read was even in King James English, though I believe there is a modern-English version. 6. The Prodigal God: Recovering the Heart of the Christian Faith by Tim Keller. In this short book, Keller focuses on the familiar parable of the “prodigal son,” but presents it in an unusual way. That difference can be seen in the title: “prodigal” doesn’t mean “lost,” as so many people assume, but rather “recklessly extravagant; having spent everything.” This is why Keller applies the word to God, who as the father in the parable is extravagant both in giving his son his inheritance prematurely and in welcoming him back when he returns. Though this book is short, it gave me a lot to chew on. Take this quote: “Mercy and forgiveness must be free and unmerited to the wrongdoer. If the wrongdoer has to do something to merit it, then it isn’t mercy, but forgiveness always comes at a cost to the one granting the forgiveness” (83). Also, his description of the elder brother – and his claim that the elder brother was just as lost as the younger brother, but didn’t know it – struck home. Jesus told this parable so that the Pharisees would understand why he spent time with people they regarded as sinners, and to invite them to lay down their religious moralism and superiority. I was left wondering, How have I been an elder brother? The main thing that I will take away from this book is this: Keller makes a sharp distinction between religious moralism and Christianity. This is a distinction that needs to be made sharply in our world, where Christianity (at times deservedly) has the reputation of being the same as religious moralism. 1. Rich Christians in an Age of Hunger: Moving From Affluence to Generosity by Ronald J. Sider. This book came out in 1977, and is regarded by many as a “classic.” The version I read was the fifth edition, updated in (I think) 2004. The book comes in four parts: the first part depicts the state of the world today, in which there are billions of poor people and millions of affluent people who could help. The second part shares a biblical perspective on poverty and possessions. The third attempts to answer the question, “What causes poverty?” And the fourth shares practical steps that Christians in rich countries can follow to both simplify their own lives and make wise contributions to making the world a more just and fair place. This was a challenging book for me. Although I don’t think of myself as affluent, I certainly live in an affluent part of the world and enjoy many more conveniences than those people who have to live on a few dollars a day. The main things that I got out of this book were 1) practical tips on living more simply, while simultaneously fostering community, and 2) a greater understanding of the economics of poverty. Lack of understanding the latter, I think, is a major obstacle that keeps Christians from helping the poor. We think that the foreign aid rich countries give to poor countries is a lot, but most actually give less than 1 percent of their GNP in foreign aid – and much of this aid is tied to their own foreign policy interests. We think that this aid is more than enough to make up for inequalities caused by things like tariffs and the abusive practices of some multi-national corporations, but it is not. This is definitely a book that all Christians in wealthy nations should read. Even if not everyone agrees with Sider’s practical proposals, the problem of poverty is something that all Christians – if they are reading their Bibles and are genuinely seeking to be more like Jesus – are called to address. 2. Praying With the Church: Following Jesus Daily, Hourly, Today by Scot McKnight. McKnight was raised in a Christian tradition that had no use for daily set prayers, but as an adult he has come to appreciate and even love them. Like McKnight, I was raised in a Christian tradition that did not have set prayers (though we did recite the Lord’s Prayer and the “Gloria Patri” every week in church). As an adult, I have been more and more interested in the practice of daily prayer times as I have come to understand how deep they go in the Christian tradition. McKnight’s book is a quick read and it comes in two parts: the first deals with Jesus’ own use of set prayers (Jews of his time recited prayers daily, and what we call the “Lord’s Prayer” is Jesus teaching his disciples something to pray every day). The second part serves as an introduction to four prayer books: the Orthodox Manual of Eastern Orthodox Prayers, the Roman Catholic Liturgy of the Hours, the Anglican Book of Common Prayer, and Phyllis Tickle’s modern ecumenical Divine Hours. I would recommend this book to anyone who, like me, wants to have a richer prayer life and who is less familiar with the tradition of set prayers and how to use a prayer book. 3. The Ascent of a Leader: How Ordinary Relationships Develop Extraordinary Character and Influence by Bill Thrall, Bruce McNichol and Ken McElrath. Throughout my time in graduate school, I felt that it was more important to spend my time reading deep theology books than leadership books. But as I grow closer to (hopefully) taking on more leadership in a church setting, and as I become more aware that it is rarely bad theology that gets pastors kicked out of churches, I’ve become more interested in leadership literature. Earlier this year I read Now, Discover Your Strengths, and I’ve just recently completed The Ascent of a Leader. The “ascent” the authors talk about is climbing the “character ladder” rather than the “capacity ladder.” The capacity ladder is what leaders are able to do on their own, and it comes with four rungs: discover what I can do, develop my capacities, acquire a title or position and attain individual potential. Climbing up just this kind of ladder can lead to loneliness and failure. Rather, spurred on by environments and relationships of grace, leaders should climb the character ladder: trust God and others, choose vulnerability, align with truth, pay the price and discover destiny. Once you start to climb the character ladder, you can integrate it with the capacity ladder, “leveraging our capacities far beyond what we could have accomplished without character” (143). I found this book to be a good reminder of how important character is in everyday life. 4. The Blue Parakeet: Rethinking How You Read the Bible by Scot McKnight. I’d heard a lot about this little book in recent months, and when I was at the Covenant’s annual meeting in Portland this summer, I was able to pick it up. The title comes from a time when McKnight was sitting in his backyard and saw a strange blue bird that he had never seen before. Turns out it was a parakeet that had escaped from someone’s cage. The “blue parakeets” of the title are “oddities in the Bible that we prefer to cage and silence rather than to permit into our sacred mental gardens” (208). Issues like Sabbath, foot washing, tithing and women in ministry are blue parakeets that many of us don’t quite know what to do with: do we try to retrieve all practices from biblical times? Do we try to retrieve only what we can salvage for our day and our culture? Do we read through tradition? Or do we read in dialogue with tradition? McKnight counsels us to read the Bible as a Story. We should read this Story in order to get to know the God behind it. And we should discern through God’s Spirit and in the context of our community how to continue living that Story in our own day. McKnight provides an example of discernment in the issue of women in ministry. This is a wonderful book, and I hope it finds its way into the hands of lots of people. All Christians interpret the Bible in some way, but there are so few books for a popular audience on how to best interpret it. As a result, many are left thinking that the way their pastor or their immediate community interprets the Bible is self-evidently the only way. This is unfortunate. This isn’t a perfect book, by any means. Since it is short, and meant for a popular audience, McKnight ends up dealing with some complicated issues very briefly. As a result, I doubt whether he will convince many people who, for example, are thoroughly antagonistic to women’s ordination. But since the book is for a popular audience, and no popular book can deal with these issues in great detail, I still highly recommend it. 5. Gone With the Wind by Margaret Mitchell. I have never seen the movie version of this book, and I was surprised on reading it to find that Scarlett O’Hara is one of the more malevolent and despicable literary protagonists I have ever read about – and I have read Anna Karenina. Like Anna Karenina, the real hero of this book is someone besides the main character: in Anna Karenina it is Levin (who, I’ve heard, Tolstoy modeled after himself), and in Gone With the Wind, it seems to me that the heroine is really Melanie Wilkes. But in both books, the intended hero is far overshadowed by protagonists who are such finely written, true-to-life characters that, despite their badness, they steal the show. It’s a great credit to Margaret Mitchell that she could create such a believable character as Scarlett – even if she is so believable that I genuinely didn’t like her. 6. The Theology of the Book of Revelation by Richard Bauckham. We have been reading through the book of Revelation in our Bible study, and I have taken it on myself to do background reading and lead the discussion. Part of that background reading has been this fantastic little book (it’s only 169 pages). Bauckham, who retired a couple of years ago from being Professor of New Testament at St. Andrews, digs into the theological content of Revelation and finds that it has perhaps the most developed trinitarian theology in the New Testament. He doesn’t spend a lot of time criticizing various interpretations of the book, but it’s clear that he doesn’t think futurist or historicist interpretations do a very good job of making sense of the imagery in the book. This is a dense little book, and it doesn’t move chronologically through the text. For those who want to read it, I’d recommend reading Revelation first to get a sense of it, then read this book, and then go back and read Revelation again with new eyes.